Exquisite features that leave your customers impressed. Even though we are living in a digital world, we are still convenient with the newspapers that wake us up every morning. The books we read, notes we take, price tags on merchandise, the wrappers & packings and so many other things we come across on a daily basis carry prints. The printing industry is still with us maintaining its stance as a powerful and necessary media, in spite of the digital and online invasion. The only thing which is not changed during all these years in the printing industry is the challenge. Challenges are in different forms, like managing the cost, indefinite delivery time, shorter turn around, sample orders, exact quotation and cost estimations, fluctuating cost of raw materials and low price competition. Providing fast, powerful and accurate cost estimation has always been the fundamental requirement of printing industry. When compared to other industries, competition in this industry is very intense which means business process must be more efficient in order to increase profitability. With years of industry experience behind our ERP, we will help you confront these challenges in an effectual way. 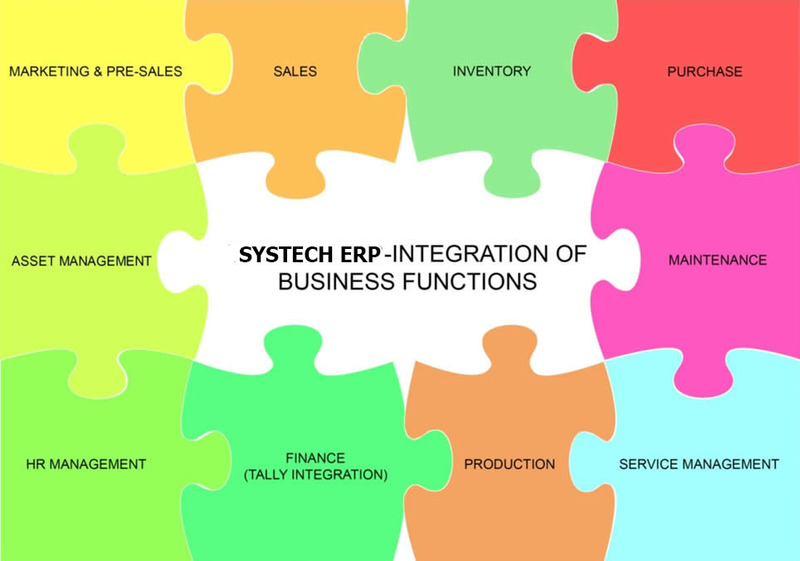 With Systech ERP in place you can now handle difficult tasks with ease. Being a web based ERP, the biggest advantage of Systech is with our real time information sharing system and the ability to see what is going on in your production floor and all its units across different locations, as it happens. Our ERP gives you an exact raw material consumption and price based on the BOM which is defined in Item master. One of the challenges is to setting up a price list for all items but most ERP systems do not have this sophisticated functionality so setting up a price becomes a manual process. Contrast with this our intelligent price list feature automatically updates the amount based on the last purchase value. The system is designed to calculate paper weight based on the GSM. The cost is divided into process cost, fixed cost (plate making and the likes) and variable cost (ink and the likes). The stock analysis capability always checks and plans for the material availability once the work order is raised or forecasts even before that. With proper approvals and tightened processes this solution is a boon for the printing industry.